With the approach of Easter, I have noticed that many people are foregoing the tradition of buying chocolate eggs and bunnies for the children in their lives. Instead, many are opting towards a much healthier, sugar-free alternative by buying an Easter-themed book as a gift. Reasoning that the kids will receive enough chocolate on the day as it is, many adults are looking to bookshops to provide some Easter entertainment that can be kept and re-read in the future. This book is perfect for the creative little bunny in your life. 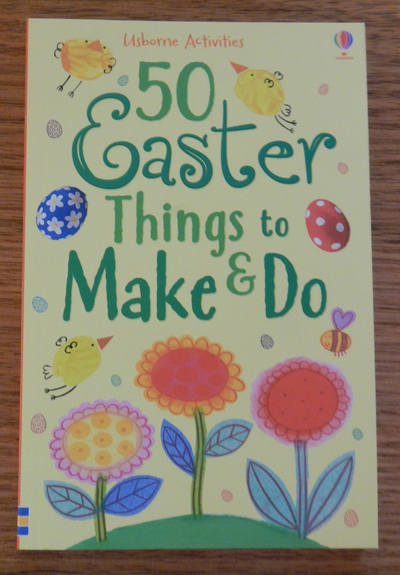 Featuring clear, step-by-step instructions, this book contains plenty of activities to try, including decorating egg shells, creating fingerprint sheep, painting flowerpots, cutting out and hanging up Easter-themed tree decorations, making an Easter crown or crafting your own cards and wrap. With 50 Easter-themed projects, varying in degrees of difficulty, there is something in this book for children of all ages. Lately, it seems that decorated ‘Easter Trees’ are becoming a trend, and with this book, the process of creating your own couldn’t be easier. Each page features patterned cardboard egg cut-outs, which you can colour in, pop out and piece together to form 20 individual decorations. To make your decorations even more special, the pattern outlines are in gold foil, rather than the usual black. 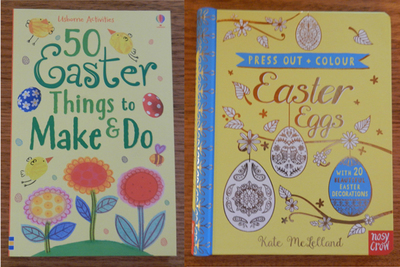 Once Easter is over, you can put the pieces back into the book for storage, or if you want to make even more egg decorations, use the pages as stencils to create your own designs. 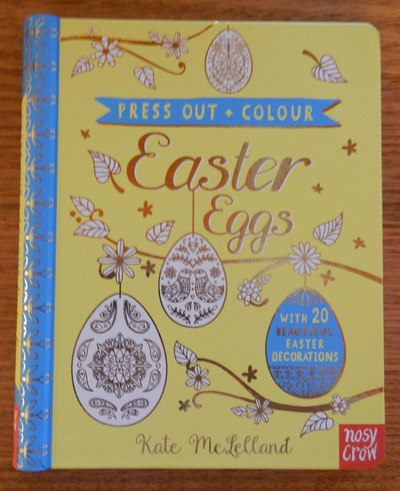 The folk-like patterns in this book will also appeal to colouring-loving adults.